Sometimes the perfect opportunities present themselves at just the right time - especially when you pick the opportunity and the time! More and more, people are searching for unique vacation ideas - ideas that make the traditional vacation seem... sleepy. 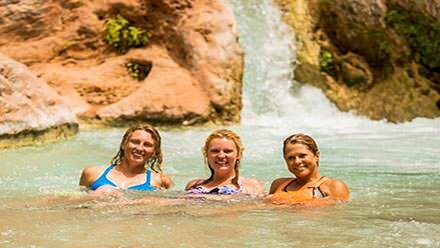 While our rafting trips and adventures are unique vacations by themselves, we invite you to pick any of these vacations and step it up a notch further. 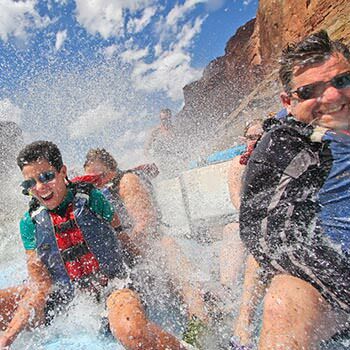 Get creative with whatever "theme", expert-hosted topic, or special guest "seminar" you want to gather a group around, select a date and trip, and we'll do the rest to give your group an unforgettable rafting adventure as a backdrop to your perfect-themed vacation. Below are a few samples of possible themes, but get creative with it, give us a call, and we'll help you gather a group around it! Start by picking one or two of our expeditions. 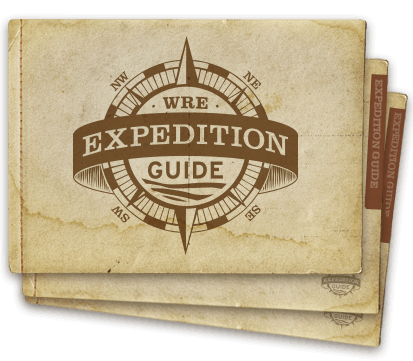 You can download a full PDF Expedition Guide with all the details of your adventure including day-by-day itineraries, answers to common questions, and packing lists. 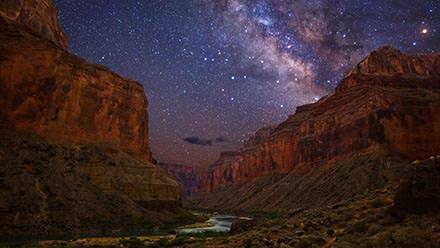 Western's rafting destinations bring you to seldom seen locations ideal for any group of photographers to excel at their craft. Lead a group of your making as the expert, or contact an expert you know who would love an opportunity to share photographic wizardry --and have access to--such grand scenery. Once-in-a-lifetime adventure, astounding views of hidden waterfalls, ancient Indian ruins, lush hanging gardens, and magnificent overlooks...Picture perfect. 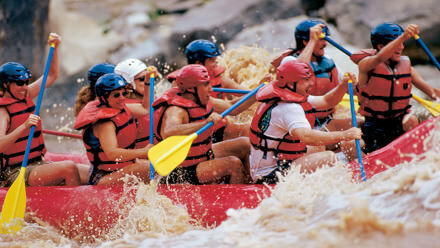 Western's guides are experts at melding perfect strangers into bonded teams by the end of a good day or two of rafting. 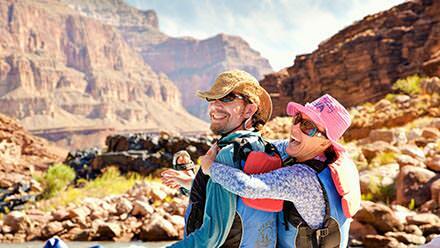 Imagine what a river trip can do to build your company's teams. Can you imagine a better setting to train a team while our guides-turned chefs cater delicious meals for every riverside meeting? Topics and parallels naturally arise from the day's events, minimizing the need to prepare topics ahead of time--just let it flow and watch your team converge and rise like a mighty river. Got a group of girls you know would love to gather for a bit of solitude and solidarity? Share time on the river and in camp and make memories that will last a lifetime. Match the river's roar in heart pounding rapids that make you feel like a child again. Some say the fountain of youth is somewhere along the Colorado and Green Rivers. You've taken the plunge, now it's sink or swim (swim method preferred). Any marriage could use some TLC, a time-out, a little Kumbaya with a good marriage counselor. Gather a group of friends, family, or make it a group of strangers-- maybe you'll remember more in common than you've come to think! The day's activities lend themselves naturally to topics of stress management, demonstrating helpfulness, love and support, or just plain recreational enjoyment and laughter.